Do you need to give your skincare routine a boost this Summer? Nothing beats a facial cleansing device to make your cleansing routine more effective. My facial cleansing device of choice is the FOREO LUNA. It is so much gentler than a brush and is much more effective on my sensitive skin than a brush. Now is a great time to try the FOREO LUNA as they have some super cute Limited Edition products this Summer! FOREO is teaming up with GreeenWave and SEA LIFE Trust to preserve our oceans. 100% net proceeds from our Save the Sea special edition products will go towards environmental conservation. 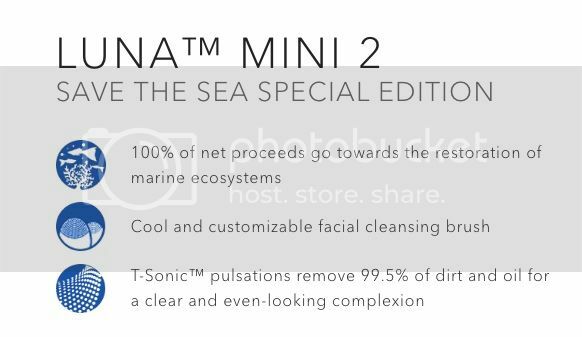 To find out more about the FOREO LUNA Mini 2 Save the Sea Limited Edition device, please click "read more" below. The FOREO LUNA Mini 2 gives you gentle yet effective cleansing. It only takes about 1 minute a day to boost your cleansing routine with this awesome device! I have been using this particular Luna device for a few weeks and really love it (but I have been using other FOREO LUNA devices for years and am also a long-term fan). The cute color and whimsy sea life design are cute added bonuses! How does the FOREO LUNA Mini 2 Save the Sea device work? Are you new to sonic cleansing with a FOREO LUNA device? Let me tell you a little bit about how it works. The FOREO LUNA Mini 2 helps boost your cleansing power with sonic vibrations. The cleansing brush is made of silicone with super soft touch points which gives your skin very gentle and soft exfoliation. It feels so gentle and soothing as you work it over your skin. It is like a facial massage! Plus, the device itself is waterproof and easy and comfortable to hold. The T-Sonic (8,000 trandsdermic sonic pulsations per minute!) pulsations remove 99.5% of dirt, oil, and makeup from your skin for a super deep clean. Unlike traditional brushes, the silicone is non-porous and resistant to bacteria. The FOREO Luna devices are so much more hygenic than traditional brushes! The FOREO LUNA devices are great investments! Unlike traditional face brushes, the LUNA does not need any replacement heads which really saves you money in the long run. Plus, I absolutely can't believe how long these devices hold a charge! You get 300 uses per full charge. It is so easy to use this device! I use it 1 time a day during my evening cleansing routine about 3-4 times a week. You can use it more or less depending on how sensitive your skin is. I have sensitive skin. So, this amount of usage seems just perfect for me. To use, I just wet my face and apply cleanser. Then I simply move the device across my skin for 1 minute. Then I rinse. It is that quick and easy! 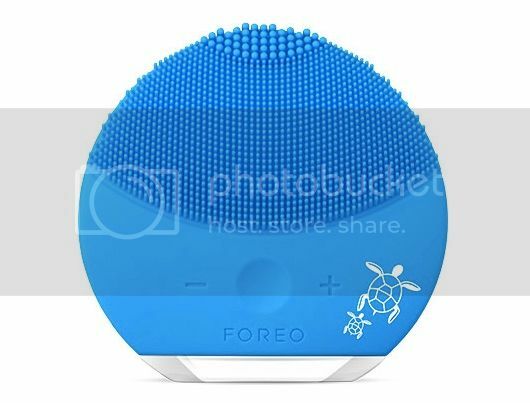 Consistant use of the FOREO LUNA Mini 2 Save the Sea Special Edition device has left my skin looking clear and smooth. It gives me a fabulous deep cleanse and gentle exfoliation without irritation. Plus, I just love the feel of this device on my skin. I literally look forward to my evening cleanse when I use this device.